Lucid Software empowers millions to build stunning visual content on the web with its cloud-based flowcharting, diagramming and design applications. Try it out for free at golucid.co. Take a peek inside AncestryDNA. It's the next generation of DNA technology to discover your family story - simple, powerful and connected to Ancestry.com, the worlds largest online resource for family history. GoodRx helps users save money by providing access to compare and transact on discounted prescription drug prices, often lower than insurance co-pays. Next time you head to the pharmacy, make sure to check GoodRx first. Try it out for free at goodrx.com. Litmus empowers email marketers to build, test and monitor email marketing campaigns with ease and confidence. The new features, Instant Previews and Checklist, take the fear out of pressing send. Trintech's Cadency manages the entire Record-to-Report cycle by reinforcing the integrity of financial close data, processes and governance. See why 900+ customers from 100+ countries rely on Trintech's Cadency to optimize resources and reduce costs. With the prevalence of data breaches, it's more important than ever that card issuers and merchants are alerted of fraudulent transactions. Ethoca is the only source of cardholder confirmed fraud data helping card issuers and merchants to stop the fraud, refund the transaction and eliminate the chargeback. 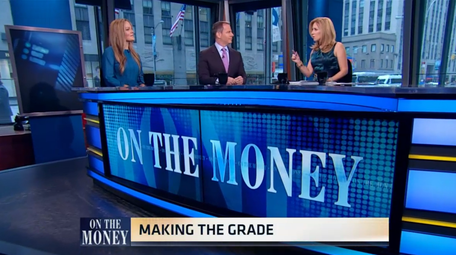 Adam Freed, TpT CEO, and Angela Watson, a TpT user, share how the company is transforming the education sector and why 3+ million educators are transacting on the platform in an exclusive interview with CNBC's On The Money. MSNBC features TpT as the leader in revolutionizing ‘teacherpreneurs’, teachers, who have become entrepreneurs by selling their educational content. Watch why teachers love using TpT. Professional-level photo editing and graphic design can be accomplished by all skill levels with the help of PicMonkey. With only a few clicks, pictures can be easily enhanced to reflect your creativity and style. Try it out for free at picmonkey.com. Take your audience on an informative journey with Prezi, an open, zoomable canvas-approach to presentations. Prezi highlights the relationship between the big picture and fine details to keep audiences engaged. Try it out for free at prezi.com. 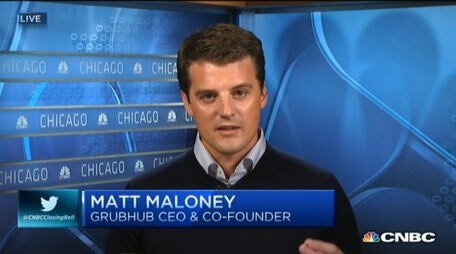 On CNBC’s Closing Bell, GrubHub CEO Matt Maloney describes how the company is disrupting the $70 billion domestic take-out market with its online food ordering platform used by over 6 million foodies. Try it out for free at grubhub.com. Enterprises can make their surveys more impactful with data-driven insights from SurveyMonkey Audience. Design your survey, choose your custom audience, and start seeing responses from millions of people. The specific companies identified above may not represent all of Spectrum’s investments, and no assumptions should be made that any investments identified were or will be profitable. View the complete list of our portfolio companies. © 2016 Spectrum Equity Management, L.P. All rights reserved.